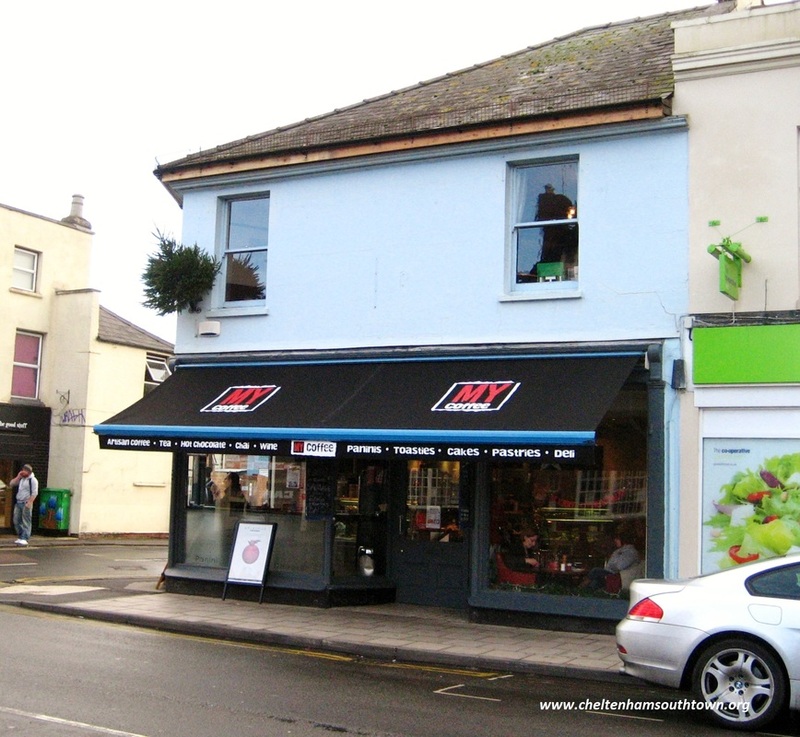 From about the middle of the 19th century the premises at 1 and 2 Upper Bath Road formed a grocery and butcher's shop belonging to Mr Alfred Wall. Alfred, already a grocer, married Maria Smith at St Mary's church in 1846 and by 1850 was recorded at this shop. Their son was born here in December of 1851. In March 1860 Alfred was fined 2 shillings and sixpence for allowing the carcasses of several animals to encroach onto the footway but two years later he was commended for an excellent display at the Cheltenham Annual Christmas Meat Show. In 1877 Alfred's only daughter, Annie Maria, married James Nathaniel Bellamy, (the furniture dealer from current 178 Bath Road). On Sunday 5th May 1878 Alfred Wall mysteriously disappeared from Cheltenham, after finishing his dinner. He hadn't let his friends or family know where he was going and his absence caused them some anxiety. It seems that he caught a train from Lansdown station to Liverpool in the evening, without taking any luggage. There he went to a small lodging house and was found the next day in a bedroom, drowned in the household water tank. At the inquest into his death Mr Wall's son in law, James Bellamy, could not account for his actions, or why he had left Cheltenham. The jury returned a rather ambiguous verdict of "found drowned" and there was no further explanation of this tragic and curious event. The next occupant of the shop was another grocer called Thomas Giles Smith. In 1881 Mr Smith was a 27 year old widower employing 3 men, who lived in the building with him and his sister-in-law, who kept house for him. Thomas Smith traded at this address until at least 1887. 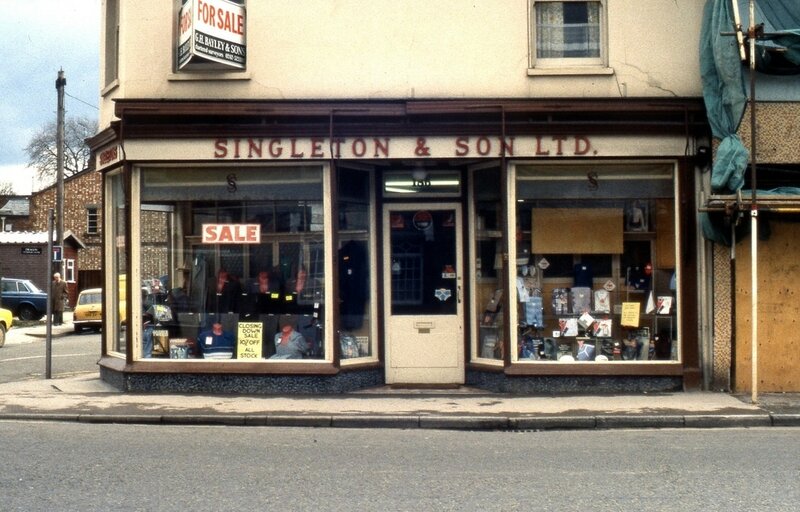 For more than 100 years this was one of the shops belonging to Singletons the gentlemen’s outfitters. The two Singleton brothers, Benjamin and Samuel, were born in Newport on the Isle of Wight in the 1840’s. They moved to the mainland where Benjamin married Clara and their first child, Harry, was born in Henley on Thames. 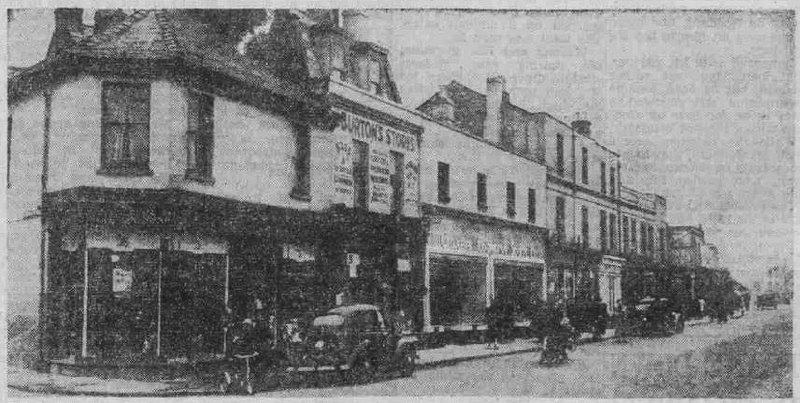 They had moved to Cheltenham by 1876, when they ran a drapery at 3, Bath Road (now part of the Co-op next door). Benjamin was a businessman and bought up various properties, equipping them for drapery and clothing businesses. He sold most of them but kept the best two for himself, in Albion Street and Bath Road. 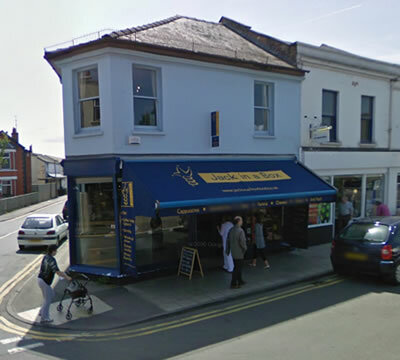 His brother Samuel managed the Bath Road shop on his behalf and when, years later, Clara suffered with ill health, she and Benjamin moved to the south coast, leaving their son Harry in charge of the Albion Street shop. Benjamin, an active member of Salem Baptist Church, had a shop in Winchcombe Street for several years. In 1881 he was active in the Wednesday Early Closing Movement, an association of shopkeepers who promoted closing at 5pm on Wednesdays, for the benefit of shop workers. Normal opening hours were so long that staff were allowed to go home for a tea break, returning for an evening shift, which sometimes went on until 9pm. ​When Benjamin opened a shop in Albion Street in October 1886, the first months takings amounted to just under £60.00. The following month this had almost doubled. 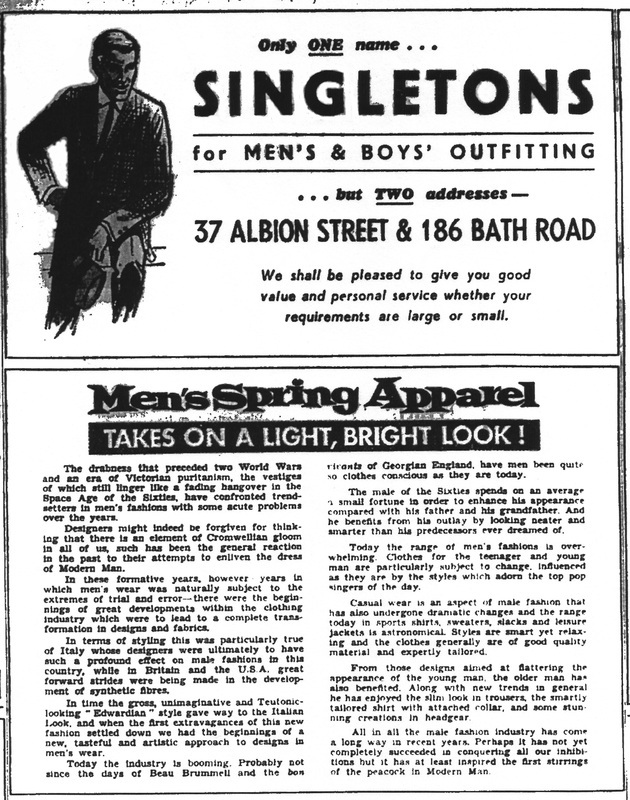 It was not always possible for people living in outlying villages to visit the shop, so salesmen from Singleton's made regular visits to obtain both orders and payments. These trips which were shared by salesmen from another outfitter’s, Drakes, were made initially by pony and trap and later by van. ​Samuel managed the Bath Road shop admirably; a kindly man he used to save the small change to give to the poor. An accomplished musician, he was also organist at Emmanuel Church. Samuel died in 1923 aged 81 and his brother Benjamin died in 1933 aged 88, after 58 years in business in Cheltenham. 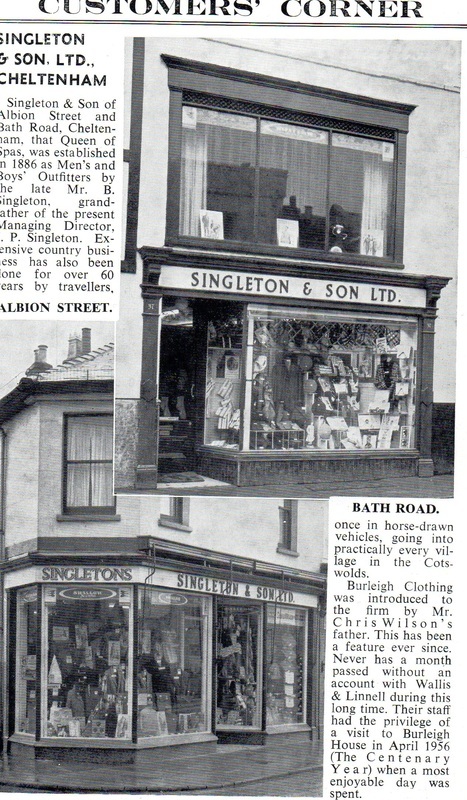 The Albion Street shop continued until 1962, leaving the Bath Road shop the only survivor of the Singletons business. 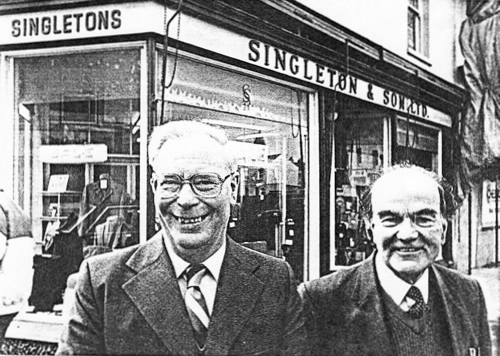 Some people will remember Mr Len Lloyd and Mr Ron Piper who joined Singleton's in 1936 and 1937 respectively. These two obliging gentlemen had, between them, served 101 years when they retired in 1987. ​The shop closed down on their retirement, bringing to an end a business that was so well known in Cheltenham and the surrounding area. For the next two years this shop was known as Scales and sold all types of loose produce. It changed hands again in 1989, when it was leased by Preston’s, an independent optician. The 21st century saw a complete change when these premises became home to the Jack in a Box café and delicatessen. This remained here until mid 2014 when it was taken over by MY Coffee, an independently run espresso bar with another shop in Worcester. 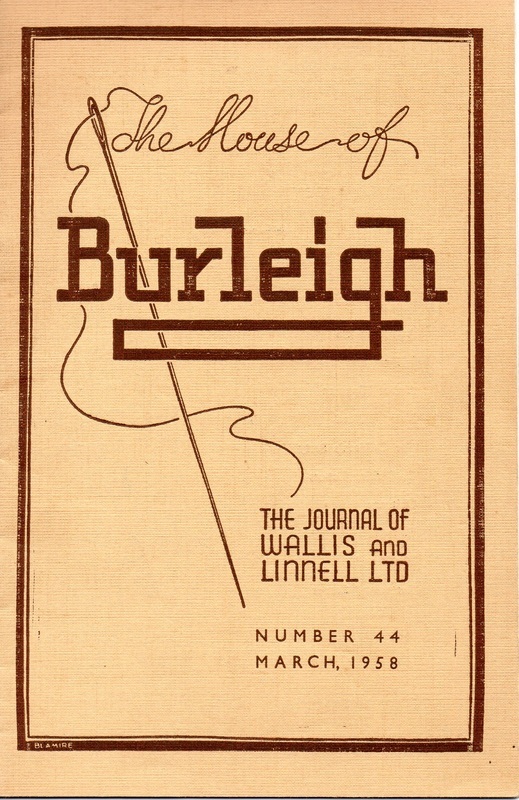 Wallis & Linnell Ltd, clothing manufacturer, house magazine article from 1958.